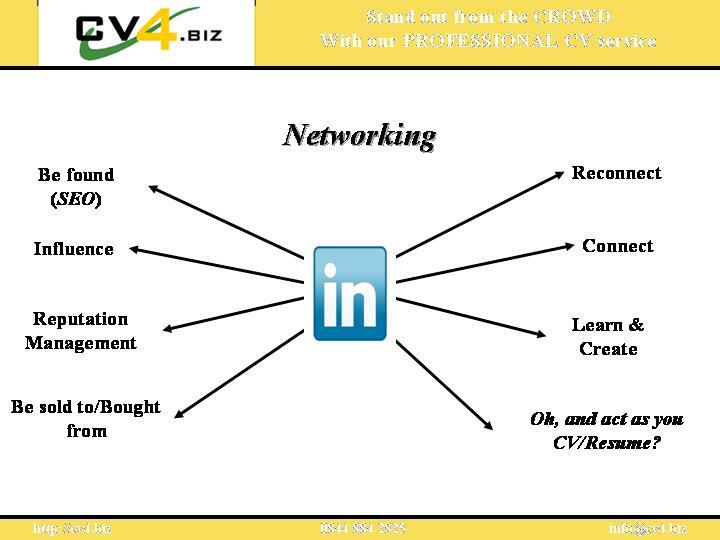 I have seen a lot of posts and commentary around recently saying that the CV/resume is dead, and long live your LinkedIn Profile. Now as a Recruiter and Professional CV Writer, was I ever going to agree with this? Well yes, in part, but the simplistic headline doesn’t tell the whole truth. Let me explain. What is the purpose of a LinkedIn Profile? Anyone see CV or Resume in there? It is at best a side benefit, but this in itself recognises that LinkedIn has numerous side benefits that are not advertised. These include the fact that LinkedIn itself is a free business-orientated social networking site, funded by the fee’s paid for premium-membership by – in the majority – Recruiters. 97% of Recruiters have fulfilled a position through someone found on LinkedIn. How does your LinkedIn Profile help your Job Application? Stand out from the crowd and achieve your full potential. Employers make the decision to interview or reject within 30 seconds, and you are never offered a second chance at first impressions. Our expertise as recruitment consultants allows us to create a Professional CV to get you that dream job. We provide the UK’s only interview guaranteed Professional CV Writing Service: we guarantee to get you a job interview within 30 days, or your money back. Great article! I have read many articles that comment on whether or not LinkedIn will replace an official resume- and to be honest most of them just provide basic speculation. 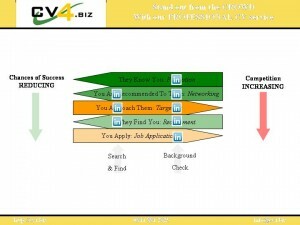 If anything is going to destroy the resume as we know it, it will be the applicant tracking system. With entry fields for all of your information, and automatic parsing technologies, it is a wonder why a resume is needed at all anymore. But for those jobs that still accept a regular resume document, it is important that that document be visually pleasing, and easily navigated. 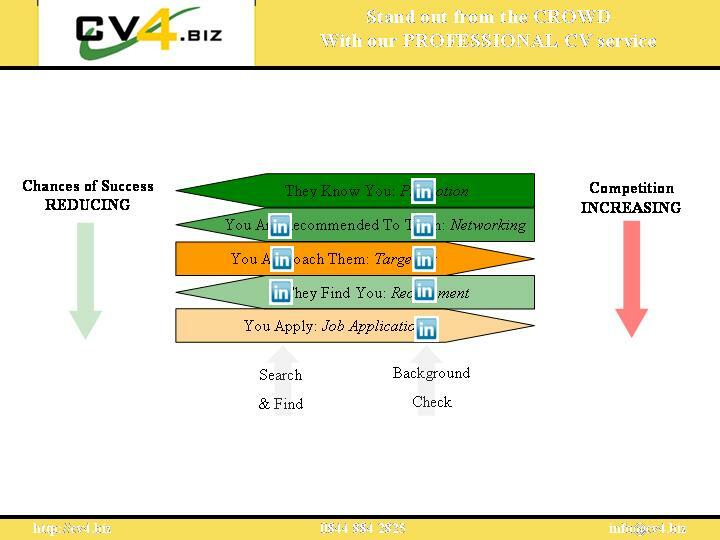 A great LinkedIn profile can support the resume, but should not provide the one stop shop for a candidates skills. I believe the cliche phrase is, “do not put all your eggs in one basket” With so many job search strategies and ways to apply for a job, each of your methods should be perfected. 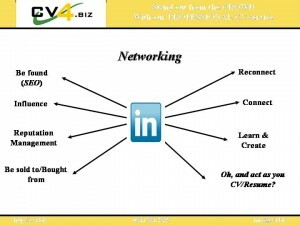 Hi thanks you for the information about LinkedIn: CV/Resume Killer? I will keep my resume on Linkedin! Fantastic items from you, man. I’ve consider your stuff previous to and you are just too fantastic. I really like what you’ve obtained here, really like what you’re saying and the way in which through which you are saying it. You’re making it enjoyable and you continue to care for to stay it smart. I can’t wait to read much more from you. That is really a tremendous website. You can certainly see your skills within the work you write. The arena hopes for more passionate writers like you who aren’t afraid to say how they believe. At all times follow your heart.